It&apos;s so long to summer, hello to fall! We&apos;ll miss these warm-weather months—baseball games, summer festivals, outdoor concerts and such. 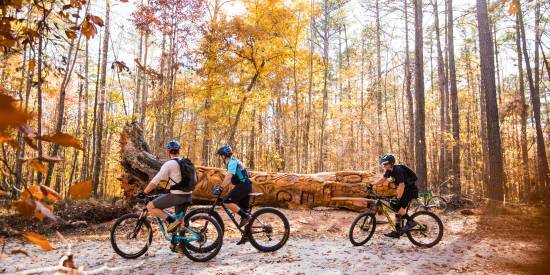 But we&apos;re ready to embrace a new season and the new experiences that come with it in the Raleigh area—hockey games, cultural festivals, holiday shopping, pumpkin pies, lots of ways to experience the arts and (last but not least!) the N.C. State Fair! Seven home games in Oct.
Is it October yet? That&apos;s what hockey fans have been asking for a few months since the Stanley Cup Finals ended in June. Yes, it&apos;s Halloween month, and that means the NHL&apos;s Carolina Hurricanes return to the ice at PNC Arena to kick off their 21st season in Raleigh. The Canes (as everyone locally calls them) will play seven home games in Oct., with the puck dropping for the first time against the Islanders (10/4) on opening night. They&apos;ll also take on the Rangers (10/7), Canucks (10/9), Avalanche (10/20), Sharks (10/26), Islanders again (10/28) and Bruins (10/30). Single-game tickets have gone on sale, so join the #Redvolution by wearing red, white and black and cheering on the Canes! Some of the best women&apos;s soccer teams in the world, including the U.S. Women&apos;s National Team, will begin their quest to earn a berth to the 2019 FIFA Women&apos;s World Cup at WakeMed Soccer Park this month. The U.S. Women’s National Team will face Mexico (10/4 at 7:30pm), Panama (10/7 at 5pm) and Trinidad and Tobago (10/10 at 7:30pm) as part of three doubleheader match days in Cary. Tickets for all games are currently on sale at ussoccer.com and will be available at the WakeMed Soccer Park box office on game day (if any remain—these games will likely sell out!). 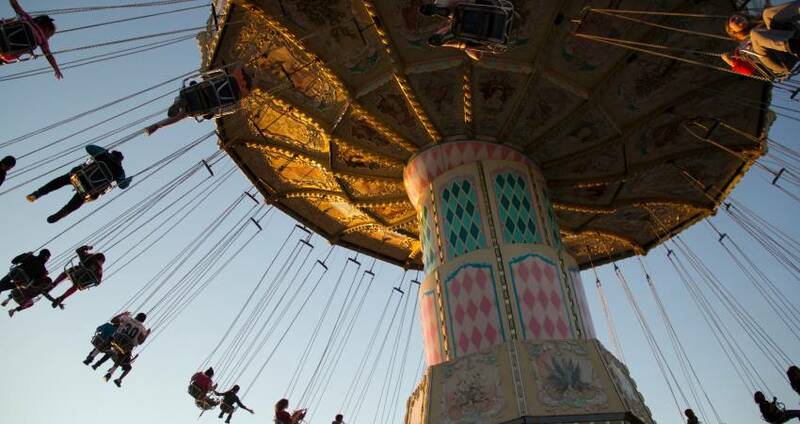 For many, the return of the N.C. State Fair (10/12-21) marks the true beginning of fall. Sunny days turn into cool and clear nights where smells of cotton candy fill the air, blinking lights from Ferris wheels and roller coasters light up the skies and jackets and sweatshirts become a necessity. The largest annual event in N.C., with 1,000,000+ visitors, this is the chance to search out thrilling rides, take in more than 100 free concerts from local artists plus devour the most over-the-top food concoctions you can imagine—think chocolate, peanut butter, bacon, doughnuts and tons of other gooey goodness. We wouldn&apos;t miss it! Back by popular demand! In the spirit of all things spooky, Lynne Taylor-Corbett’s Dracula returns to the stage after a four-year hiatus at Carolina Ballet, just in time for Halloween. This program also includes Robert Weiss’ scary evocation of Edgar Allan Poe’s The Masque of the Red Death and features J. Mark Scearce’s (Macbeth) original scores for both ballets—played live featuring a chamber ensemble! Hauntingly theatrical and seductively beautiful, this program will have you on the edge of your seat. See some of golf&apos;s best, including legendary pro Colin Montgomerie who will return to defend his 2017 title, at the SAS Championship, a PGA Tour Championships event. Held annually at Prestonwood Country Club in Cary, the event is widely recognized as one of the most important events of the year. The tournament will once again play host to ‘Wildcard Weekend’—the last full-field event before the Charles Schwab Cup Playoffs. Little City Brewing, a boutique brewpub located in Glenwood South, is hosting Blocktober Fest, a block party in celebration of its two-year anniversary, Saturday, Oct. 13, from noon to 10 p.m. Supporting the non-profit Dynamic Water, Blocktober Fest attendees can enjoy an array of new beers from Little City Brewing, as well as bites from locally-loved taco spot Virgil’s Original Taqueria. Additional festivities will include a photo booth, bounce house, giant beer pong, dunk tank, carnival-style games, inflatable boxing and more. The Live music line-up will include DJ Showtime, Scott Carneval, Micky Slicks and Edwin Whitted. The event is family-friendly and free to the public! An exhibition of contemporary art at the North Carolina Museum of Art from renowned artist Georgia O’Keeffe, who revolutionized ways to see ordinary things, brings together a significant group of O’Keeffe’s works (featuring enormous flowers, luscious color and desert landscapes) as the centerpiece of an exploration of her continued force as a touchstone for contemporary art. This exhibit is ticketed in conjunction with Candida Höfer in Mexico. 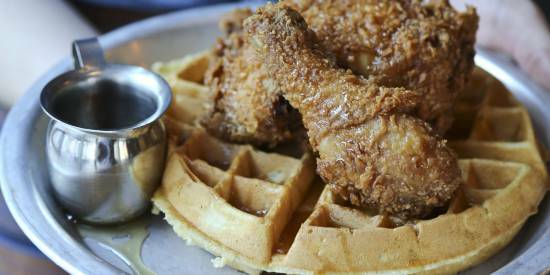 Attention, foodies! The final Downtown Raleigh Food Truck Rodeo of the year is this month. More than a half-mile of food trucks, spanning 11 city blocks, are bringing wood-fired pizzas, buttery lobster rolls, over-the-top ice cream concoctions, drool-worthy barbecue sandwiches and way, way more for thousands of hungry rodeo-goers to chow down on. Free admission, seating for 1,000-plus people and plenty of Instagram opportunities are just some of the elements that make this a can&apos;t-miss foodie event. Coming to the Duke Energy Center for the Performing Arts this Oct., In The Heights tells the story of a community in New York’s Washington Heights neighborhood "on the brink of change, full of hopes, dreams and pressures, where the biggest struggles can be deciding which traditions you take with, and ones you leave behind." It’s also the brainchild of Lin-Manuel Miranda, creator of the musical Hamilton. SPARKcon, the totally-weird, totally-awesome creativity festival that takes over downtown Raleigh each year, is truly a grassroots event. The "for the people, by the people" approach uses an open-source planning process that allows more than 2,000 artists to be involved each year. Dance, fashion, music, film, food—if you can name it, you can find an event for it at the festival that spans nearly 15 city blocks. The festival has taken big steps to make it even more accessible for individuals with disabilities, including independent wayfinding navigation with BlindSquare, sensory-friendly packs, a SPARKcon Access Guide (available at the info tent and on the cubes at every intersection) and more (get details here). Experience more than 100 exhibits, crafts, games and activities at BugFest, North Carolina Museum of Natural Sciences&apos; annual event that lets you interact with entomologists and other scientists while learning about the fascinating world of bugs. Featuring the ever-popular Café Insecta, where the brave can sample buggy dishes prepared by local chefs. The best part? The event is totally free for the expected 35,000 attendees. This year&apos;s theme: crayfish and other crustaceans! The Raleigh Convention Center will host the 33rd International Festival of Raleigh, where more than 50 ethnic groups will be represented! The festival includes everything from international food and stage performances to fashion shows and beer and coffee tastings. 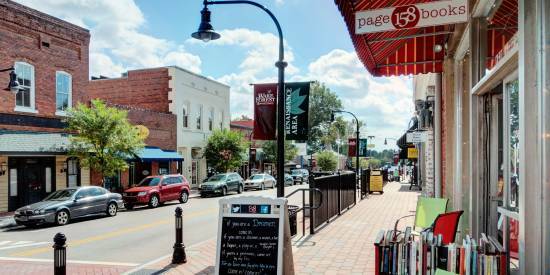 Now in its eighth year, the Apex Music Festival attracts thousands of fans to historic downtown Apex to enjoy live music, street vendors, food trucks, beer and wine and an eclectic mix of shops and restaurants. Two outdoor stages and one indoor theater will host a variety of acts from local, regional and national performers from many musical genres—rock, folk, R&B, bluegrass, country and more. The ticketed event, which is best suited for adults, has a full music lineup you can check out here. The inaugural FallFest at Dix Park—a family-focused atmosphere with food, drinks, kids and adult activities and live entertainment—will include live music from the Milagro Saints and Counterclockwise String Band, a fun zone with inflatable rides and games, pony rides, face painting, a pumpkin patch and decorating area, hayrides, craft vendors and more fall activities. Food trucks with food, beer, ice cream and more will be on hand, but you can also bring your own small cooler or picnic basket. Dogs (on a leash) are welcome, too! Cheers to seasonal beers! Big Boss Brewing Company’s Casktoberfest (10/4) transforms the brewery into a giant beer hall with 30+ one-of-a-kind cask ales. Join 10,000 people at Celebrate Fuquay-Varina Festival (10/6) for live entertainment, a chili cook-off, children&apos;s activities plus tons of arts and crafts to pay homage to the town&apos;s rich history. A Boozy Coffee Bar, the Almost Famous Bloody Mary Bar, Dueling Mimosa Bars—plus all-you-can-eat samples from local restaurants—highlight the Brunch Festival (10/6) at Cary&apos;s Koka Booth Amphitheatre. The North Carolina State University Wolfpack football team—off to a hot 3-0 start this season—will take on Boston College at Carter-Finley Stadium (10/6). Presented by the U.S. Air Force Heritage of America band, Rhythm in Blue (10/9) inspires patriotism and tells the story of the Air Force. Sit back, relax and listen to the this dynamic jazz ensemble perform at the Garner Performing Arts Center. Music, dance and theater, a handicraft bazaar plus Indian food, art and culture highlight Cary Diwali Celebration (10/13). Superstar wrestlers—including AJ Styles and Samoa Joe—will go head-to-head at PNC Arena as WWE Live (10/13) rolls into town. A Raleigh tradition for more than 30 years, Junior League of Raleigh&apos;s A Shopping Spree! (10/18-21) is a four-day shopping fundraiser showcasing regional and national exhibitors for shoppers seeking the latest in fashion and home decor trends, unique gifts and holiday merchandise. The fifth annual Triangle Oktoberfest (10/19-20) at Koka Booth is set to provide plenty of family-friendly activities including live music, storytelling, dancing and traditional Bavarian food and fare (plus local and authentic German beers on hand). Test (and treat!) your palette at the 5th Annual North Carolina Wine Festival (10/27) at Coastal Credit Union Midtown Park this month. To see a full calendar of events in Raleigh, N.C., click here! Right Now in Raleigh, N.C.